Wave Competed in the 2017 China Robotics Challenge! Team 2826 has been invited to compete in the 2017 China Robotics Challenge!! 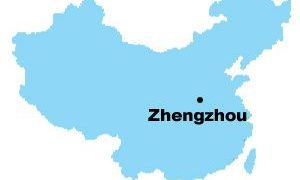 The team will be traveling to Zhengzhou, China to take part. We are among a group of elite US and international teams that have been chosen. The trip will tentatively take place from July 18-31. 2017 is the 4th China Robotics Challenge (CRC). CRC is an off-season event of FIRST Robotics Competition, hosted by the China Urban Youth Robotics Alliance (CUYRA). CRC exists to help veteran and pre-rookie teams gain more experience and prepare for the 2018 FRC Shenzhen Regional. There are now fifty FRC teams in China, and CUYRA helps these teams establish and foster communication with international programs, as well as to find new outlets to expand and increase participation in FIRST throughout China. Thank you to all the parents, mentors, students, and sponsors who went above and beyond to make this happen in such a narrow window of time!! Wave Robotics Co-Lead Kiran Presenting at the 1st Annual Tedx Oshkosh on October 29th. Click Here to See All of Our Robots!